18 of his 27 years in jail. Visitors to South Africa now have their own personal tour guide permanently on call, with the launch of the innovative new Mobiguide – a service that allows tourists to download multimedia tour guides to popular destinations onto their mobile phones, laptops and other portable media players. 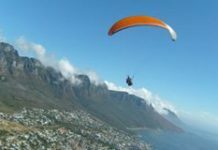 From its official inception in October 2007 to the launch at popular tourist destination Kirstenbosch Botanical Gardens in Cape Town in March this year, Mobiguide has already generated much interest. For R30 (about $8 or €12 at current exchange rates), plus service provider charges, visitors can download audiovisual tourism guides that enhance the experience of visiting some of South Africa’s most popular destinations. Content ranges from the Stellenbosch wine route, Robben Island and Kirstenbosch in Cape Town to Soweto, Newtown and Constitution Hill in Johannesburg. There are also guides on South Africa’s famous Big Five safari experience. On average the clips run for around four minutes and feature original footage and historical clips from national archives, as well as narrative and music. Clips can be previewed and downloaded at the tourist destinations themselves, from the Mobiguide website, or by going to http://www.mobiguide.tv/ on a mobile browser. The guides are currently available in several languages, including English, French, German and Mandarin. 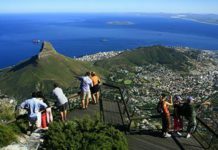 These were specifically chosen, says Mobiguide’s IT director Dan Seidman, based on statistics of tourists to South Africa. Seidman says that new languages are in the pipeline, among them Portuguese, Italian and Spanish, and local languages Zulu, Sotho and Xhosa. This is because Mobiguides are not only targeted at tourists, but there is also a goal to get South Africans more interested in their heritage too, as locals make up a large percentage of the tourism sector. However, the production of new guides in other languages must be balanced with the need for guides covering new sites. Seidman says they may well end up taking both options, depending on what the production budget allows. Downloading audio and video clips to a mobile phone is by now an everyday occurrence, and Mobiguide is capitalising on that by offering its guides in popular formats that are accessible to most media devices. The formats include mp3, mp4, avi and 3gp. Popular South African artists such as award-winning instrumental group DNA Strings, and musician/songwriter Riku Lätti, perform the backing tracks on Mobiguides – these may also be downloaded individually. The idea for Mobiguides was born, says founder and MD Amanda Forsythe, during her years as a French interpreter working for the French embassy. Her job often entailed taking VIPs to tourist destinations around South Africa. 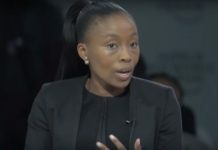 She found that general information about South Africa’s culture, history and development was not always available at sites of interest, and even less so in languages other than English. A little research revealed that the costs of introducing audio guides, and the equipment required such as headsets, would be too expensive. Consequently the idea had to be temporarily shelved but when Forsythe met her current business partner Dan Seidman in 2006 the two put their heads together, enabling Forsythe to turn her passion for languages and travel into the Mobiguide concept. This, she claims, is a first for Africa and possibly the world. To date Forsythe has produced all the Mobiguides herself, from taking photos and shooting footage to research and writing, voice-overs, translations, and more. Canadian-born programmer, entrepreneur and former derivatives trader Dan Seidman is also well travelled and has lived in various countries around the world. Between them Seidman and Forsythe have degrees in history, languages and philosophy. Mobiguide is registered with tourism authorities in the Western Cape and Gauteng, and works closely with South Africa’s national archives, local municipalities and world heritage sites. 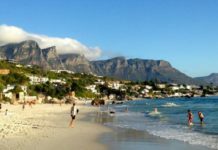 “Tourists don’t always realise exactly what is on offer in areas other than Cape Town,” says Seidman. “The most visited place in South Africa, by far, is the V&A Waterfront shopping centre which welcomes 1.8-million tourists annually. 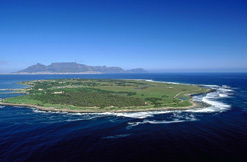 Robben Island is a distant second with 600 000 visitors. 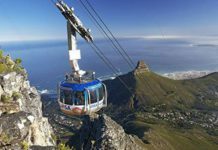 We’re hoping that when tourists visit the Mobiguide website to download clips on Cape Town they’ll notice that there are also interesting destinations in, say, Johannesburg, and will decide to extend their stay to explore these options. The company is always looking to expand its offerings and invites users to get in touch through the website if they feel their location, no matter where in the world it is, would make an interesting addition to the Mobiguide portfolio. Mobiguide has also introduced the Mobitalk mobile application, which is also expected to be of great use to travellers. This offers e-mail, SMS and chat services at a fraction of the normal cost – but only to another device that has Mobitalk installed. 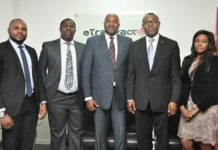 A VOIP facility will go live in June, enabling users to make low-cost voice calls using the internet. Mobitalk also provides instant access to the Mobiguide system. The application can be downloaded free of charge from the Mobiguide website.